Solaray is manufactured by Nutraceutical Corporation and Au Naturel, Inc. in USA. Solaray products are fully manufactured, packed and imported from USA. Solaray began in 1973 as a pioneer in formulating and marketing blended helbal products. By 1984, Solaray became a full line manufacturer, carrying quality herbs and a wide range of vitamins, minerals and specialty products. Continuous research & development is done to meet the needs & expectation of today's modern lifestyles. Every Solaray products is subjected to rigourous testing and screening protocols. Products are thoroughly tested to meet label claims and safe. Solaray products are approved by Ministry of Health in Malaysia. Solaray products are produced according to the stringent GMP standards and comply with the latest requirement of USA & Malaysia government regulatory bodies. At Pathlab, we are totally committed to take care of your health. Besides offering a wide range of health screening services, we also provide a range of Groway health supplements to boost your health. 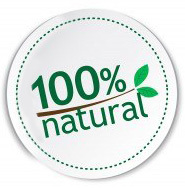 Groway products are halal certified, with 100% natural ingredients and manufactured under strict GMP. Only the best of natural and wholesome ingredients are used.